Cannabis is now decriminalized in many different places across America including Arizona, California, Colorado, Illinois, Maine and many other places. However, for the United States military, cannabis is still a banned substance. And that’s probably a good idea considering that one of the active chemical compounds inside cannabis (the class of cannabinoids) includes THC, or Tetrahydrocannabinol – a well-known hallucinogen. While the psychedelic effects of THC are small in comparison to other compounds similar to it, THC does have an altering effect on the mind. This could be the reason it was classified for so many years as a Schedule 1 drug, along with LSD and heroin. While THC is one of the most well-known compounds provided by the marijuana plant, there are many others. An estimated 113 others to be exact. All belonging to the class of phyto-chemicals known as cannabinoids, these compounds offer unique health benefits to the human body. However, synthetic cannabis compounds (man-made versions of cannabinoids) have recently been linked to health problems including reported headaches, nausea, vomiting, palpitations, dilated pupils, dizziness, disorientation, agitation and seizures, according to a recent report from StarNews. Sadly, there are also reports of death linked to complications of seizures – a common symptom associated with the use of synthetic cannabinoids. In one case, significant neurological damage was reported in one soldier , and two Marines suffered from accidents associated with seizures. These man-made versions of Mother Nature’s marijuana plant extracts could contain any number of toxic compounds masquerading as cannabis under the names of CBD oil, or Cannabinoids. This is just the type of marketing that offers a legal way to get high ideal for soldier, but it could cost their lives. “Although pure CBD oil has not yet been associated with adverse health effects, CBD vape oils most likely contain synthetic cannabinoids, concentrated tetrahydrocannabinol (THC) and/or other hazardous compounds in addition to, or in place of, CBD oil,” officials said.Once alerted, troops were sure to stop using vaporizer products that included synthetic cannabinoids. 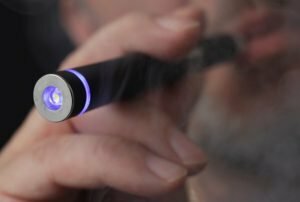 The remarks came one day after the U.S. Army Public Health Center issued a public health alert stating that approximately 60 soldiers and Marines in the state experienced serious medical issues after using e-cigarettes or vaping products that were marketed as containing cannabidiol or CBD oil. The cases occurred over the course of a few weeks. There is nothing that the U.S. military soldiers can do about the fact that being enlisted means NOT using marijuana. However, for soldiers using synthetic cannabis apparently that’s not an option either because it’s now been shown to be downright deadly to use these types of products. So, while real cannabis is safer than synthetic CBD vape products, it is still not offered as a medical alternative to pharmaceutical drugs for U.S. soldiers. 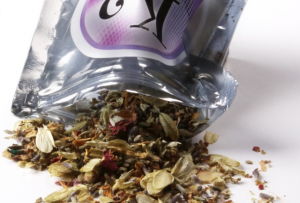 Other cases of health problems associated with synthetic cannabis have been reported. This included one outbreak of overdoses of one highly potent form of man-made cannabinoids known as K2. Over 150 people are known to need treatment for K2 overdoses in just one week – a drug estimated to be about 800 times more powerful than natural marijuana. Reported side effects included seizures, hallucinations, convulsions, kidney damage, in addition to a variety of psychological effects that could result in suicidal thoughts and violent, erratic behavior. While there are some current laws in place to limit the sale of synthetic cannabinoids known to cause health problems, companies are continuing to find ways to create new, slightly different forms of the man-made cannabinoids. However, there are authorities working to prevent any of these such drugs from slipping through the cracks. For example in South Bend, Indiana the city has mandated a fine between $250-$2,500 for any businesses caught selling synthetic marijuana however, it is important for community members to stay aware of this harmful and potentially deadly threat. Bottom line: If you can use real, organically-grown cannabis products do it. They are preferred over pharmaceutical drugs as a long-term health care approach, as well as synthetic forms of cannabinoids including that of THC and CBD commonly vaporized in pens and e-cigarettes.